Ever feel static in your job? Like, everything is going well, but not really going anywhere. This is where personal development comes in. Personal development is about stopping you from getting stuck in a rut. About getting you out of that comfort-is-cool mentality and helping you take the next steps in your career. 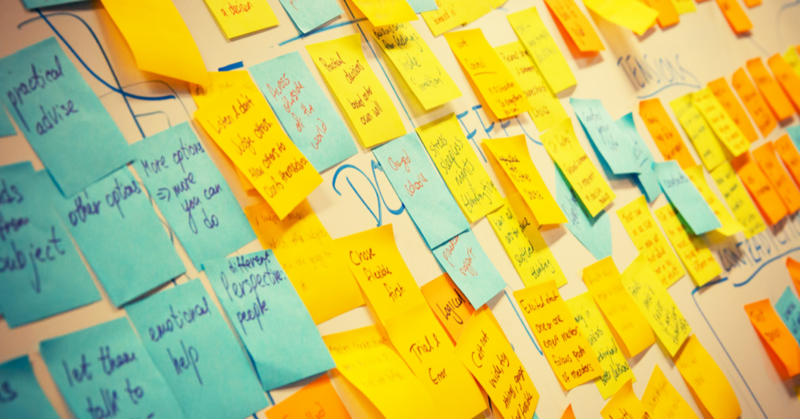 Personal developing planning might seem tedious. It may make you think of those charts endorsed by supper nanny for naughty kids, but they’re more than worth your time. Don’t mock star stickers, they may just be the solution to your career stagnancy. Here are a few simple guidelines to help change the way you think about personal development and put you on the right path to achieving your career goals. Personal and career development plans are projects that help you excel in your personal and professional life. PDPs are forward thinking projects which show you the what, where, how and when of personal growth. They highlight what your strengths and weaknesses are, where you need to improve, how to do so, and by when. There are some essentials that you need not miss if you want to successfully enhance your career and/or personal life. Here, you’ll find a few personal development plan ideas to help with your project. Why these aims are important to your values (in the short-term or long-term). What your current situation is. The skills, knowledge or competencies needed to take you to the next step. The activities or training you can partake in to meet those requirements. Once you’ve got the gist of what you’re looking for, go into more depth. Why do you want this? And how will you achieve this? Step one: What is your purpose? 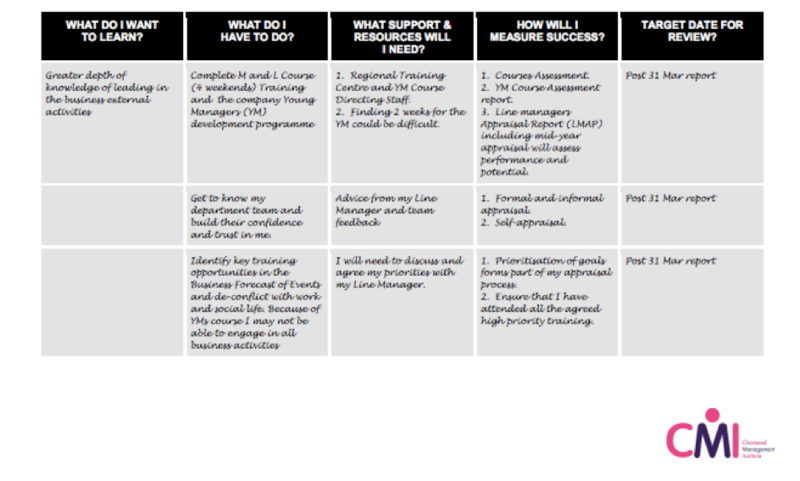 So, first off all, the numero uno aim is establishing the purpose of your personal development project. In order for you to do this, you should identify your current professional situation in relation to your potential in your current field of work. What are your strong points? Are you good at creative problem-solving, computer programming, managing, collaborating? Which of these can you work on even more? This can be sorted independently, or with the help of your manager, a friend, a colleague, or even a mentor. Aside from figuring out your potential, you should also ask yourself what you are honestly interested in pursuing. Just because you have the potential to achieve something in your sector does not mean that you should take that path. Especially if it doesn’t actually appeal to you. Your purpose should be motivated by passion and professional or personal desire, not just pure obligation. Your career potential should be analysed in relation to your own value system. For instance, the impact taking new career steps will have on your private life or any constraints and obstacles that may arise due to a change in responsibility. This could be an increase or decrease in liability or a change in the characteristics of your job role. After having identified what you wish to achieve, and if it aligns with your own values and career prospects, you have to figure out the development needs. 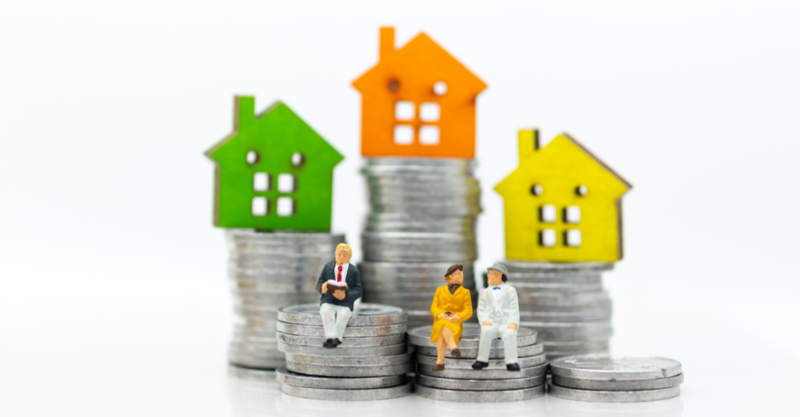 Step three: What are your development needs? Here, you might want to start thinking about personal development plan procedures and who you want to involve in your personal career development planning. Step three is where you should brainstorm all your personal development and career plan objectives and ideas, the potential business benefits of your personal development, and how you could go about achieving these objectives and ideas. Step four: Get your team involved! Personal development plan objectives don’t have to be kept a secret. In fact, it is highly recommended that you involve your manager in your personal development plan so that you can have someone support you. 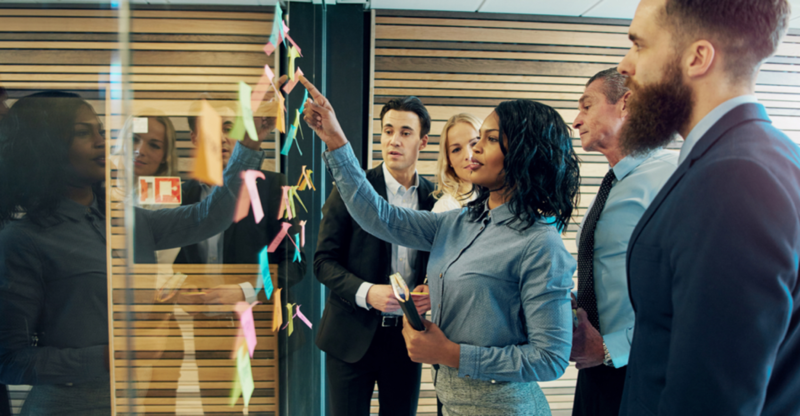 Collective development plans can be just as motivational as personal development plans, especially if you share the same goals as your colleagues and managers. Managers also need to work on renewing their skills and updating their business know-how. Group development projects can be a wonderful team bonding exercise! They can evolve into grander, business development plans. With your dedication and motivation, the scope of any career development plan can impact the fate of your company. There is always room for improvement. Help one another! Writing a personal development plan can take time. But, don’t be put off by comprehensive planning! It can be a healthy (and necessary), stimulating challenge! Your plan, unlike your list of goals, should be practical. Once you have a solid understanding of what you aim to achieve, you must figure out how you will achieve it. What do you need to change or improve? Nobody likes analysing their weaknesses, but this is a must if you want to transform them into strengths. Step five: Time to make a plan of action! An action plan is not an inventory of dreams or goals. It is an extensive, realistic to-do list. Your action plan could cater for short-term results or long-term results, depending on your goals. For lengthier procedures and personal development plans, five year plans are also a popular choice, especially if you plan on remaining loyal to your current company. 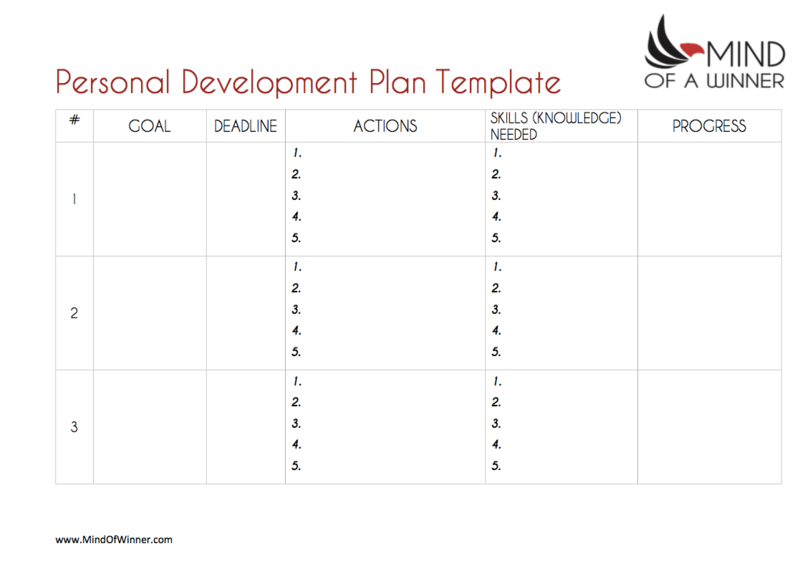 Make an action plan template. You can make a template using Word, Excel, PowerPoint, or good old pen and paper poster making. Whichever method you choose, creating a personal action plan template is essential if you truly want to take the next steps in your career. You have to take responsibility for your personal development project. You may have mentors and managers on your case, but only you have the power to make those improvements. This is an educational question. Do you need to acquire new qualifications to open up new career avenues? Do you need to do an online course? Do you require an NVQ? 2. Do you need extra training in your sector? This is a vocational question. Do you need extra training in your sector, regardless of qualifications, to achieve your objectives? 3. Are there other occasions or opportunities for career enhancement? This is a more general question about what you can do in your own time. Having completed steps one to five, you should have started to formulate an accurate and achievable route to enhancing yourself and your career. Finally, set yourself a deadline. Whilst your personal development project should be fulfilling, we all need a little bit of pressure to get us where we need to be. Give yourself a clear timeframe for each goal. To begin with, set mini goals to avoid distraction. Let’s say you only have 30 minutes each day to do this. That’s more than enough! Developing new skills can take a minimum of 15 minutes daily practice. You just have to be consistent. Block off a bit of time for your practice each day. This may just be reading a book on personal development at your desk over lunch – you can count researching relevant books as part of your project - or doing an online course at home before dinner. Likewise, 30 minutes shadow work a day or listening to an audiobook during your commute to work could also be part of a successful, integrated programme. Whatever it may be, narrow down your search by selecting an area which interests you most to get the ball rolling. This will help you stay engaged during the primary stages of your project. Influential leaders dedicate on average 30 minutes per day to personal development. How does your day compare to this infographic? Whilst the above may seem a bit wordy, your schedule doesn’t have to resemble a dissertation on personal enhancement. 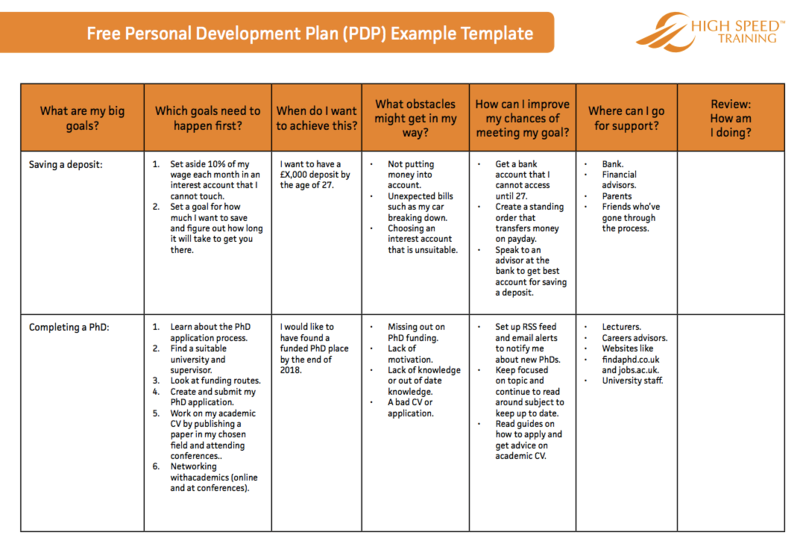 You can make quick and easy personal development plan templates. And here's a fuller checklist provided by the Chartered Management Institute. Figure out what is important to you. Decide what developments need to be made. Find out what opportunities are available to help you achieve this. E.g. training, coaching, courses, personal research etc. Create a sound method of monitoring and maintaining your progress, and be aware of any obstacles that you may have to face – think ahead. Evaluate and review your outcome. Enjoy your personal development project. And then… Go from strength to strength! There aren’t really any negatives involved in putting together a personal development plan. Unless, that is, you don’t enjoy putting in a bit of extra effort. Personal development processes can be fulfilling and motivational. They’re a great way to monitor how new learning activities have improved your knowledge, skills and understanding. Tracking your progression can boost your confidence. Personal development plans can build self-esteem by illuminating all the areas in which you have improved and enhanced your skills. They can show you just how capable you are of taking the next steps in your career or personal life. Just like that old friend who always give you that little push, or a personal manifesto to remind you of what you stand for. Look at it this way, personal development plans serve as loyal reminders. They help you to keep tabs on your progress, but more than anything, they enable you to create your own vision and establish goals that suit your life plan. What does a successful Human Resources strategy look like? And have our very best HR insights and company news sent straight to your inbox. You won't regret it.